The Wildlife Photographer of the Year exhibition is on just now in Scotland Street School Museum. I always go to see it, but this year thought we’d combine it with a trip for the toddler to have a wander round the museum too. As I mentioned I went because I wanted to see the Wildlife Photographer of the Year exhibition (which is always absolutely incredible and well worth a visit before it leaves in late November). 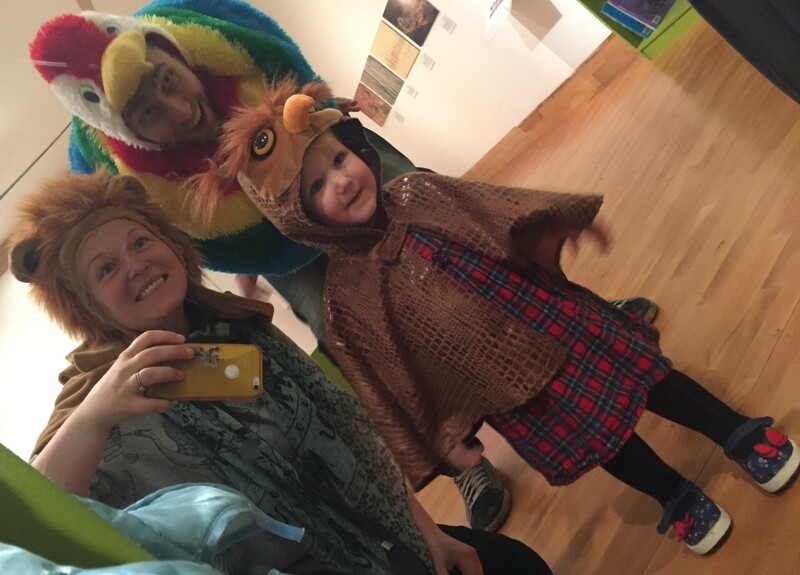 They have some activities for kids related to the exhibition; some animal dress up clothes (as beautifully modelled above), animal and photography related books, crafts and a drawing table with activity sheets. I’m not entirely sure if the craft activities are only on certain days, so I’d check before you go if you wanted to do those. I’ve been before a few times to the museum, but never with the little lady. I didn’t realise how toddler friendly it is. There are lots of buttons to press, phones to listen to (a huge hit with my little lady), magnets and a magnetic wall to play with, puzzles here and there, plus lots to look at. We had so much fun playing with the phones on the second floor that the little lady got hungry and we had to go home. We never made it up to the third floor so I’ll need to report back at a later date about that! They had some old timey toys in the foyer area with diablos and skipping ropes and hula hoops. 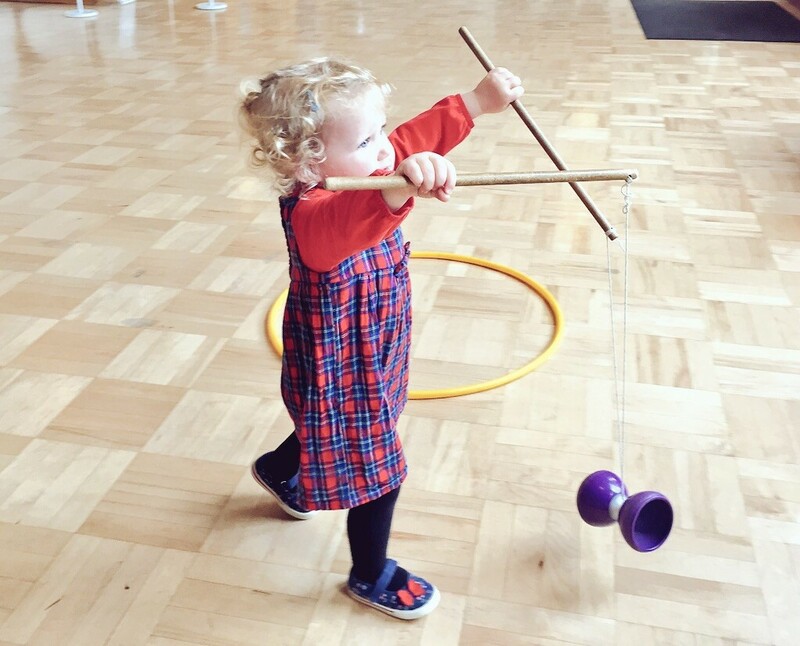 (Can’t believe I just called skipping ropes and hula hoops ‘old timey’.) We played with those for a bit on the way out. I’m pretty sure I had more fun than the little lady at that point! There isn’t a cafe; there are a few vending machines selling crisps and snacks and teas and coffees in a room with some tables and chairs. The room has some toys for the kids to play with which is great (I wish the other Glasgow museums did the same thing). If you’re going to get hungry I’d bring lunch with you. There’s nowhere around there to get grub. It’s right across the road from Shields Road Underground so if you’re near an underground station that’s the best way to get there. If not, I’d suggest another means of public transport if you can. Parking is available across the road in the Shields Road Underground car park, but it costs £5 a pop. There might be a handful of spaces for on street parking just across the road, but you definitely can’t park in those Monday to Saturday. 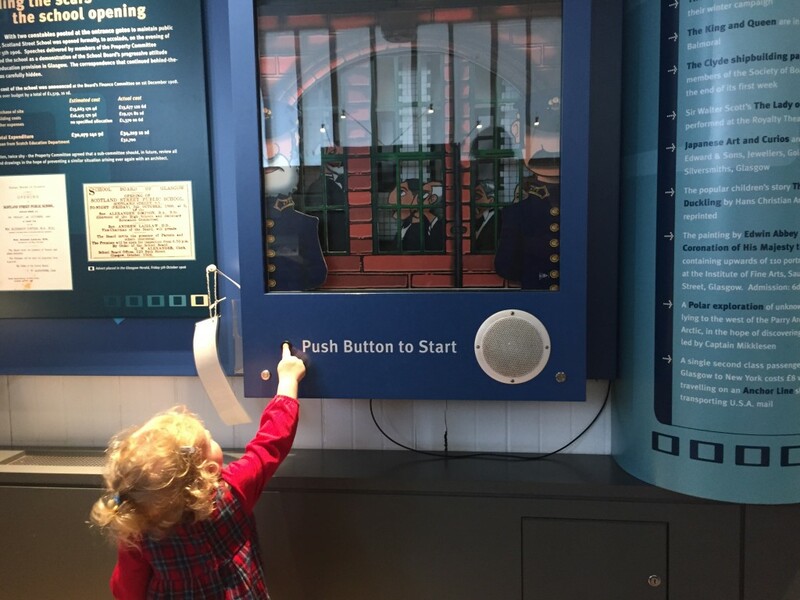 I was pleasantly surprised at how toddler friendly Scotland Street School Museum is, and how much fun the little lady had. There are quite a lot of interactive things for kids to play with and do. We really enjoyed it. The big negative is that it doesn’t have a cafe; we like a cuppa for me and lunch or a scone or a snack for the little lady wherever we go. But we can all prep for that! Scotland Street School Museum is at 225 Scotland Street, Glasgow, G5 8QB.